We gain intimate knowledge of ourselves through mindful examinations tempered with compassion. 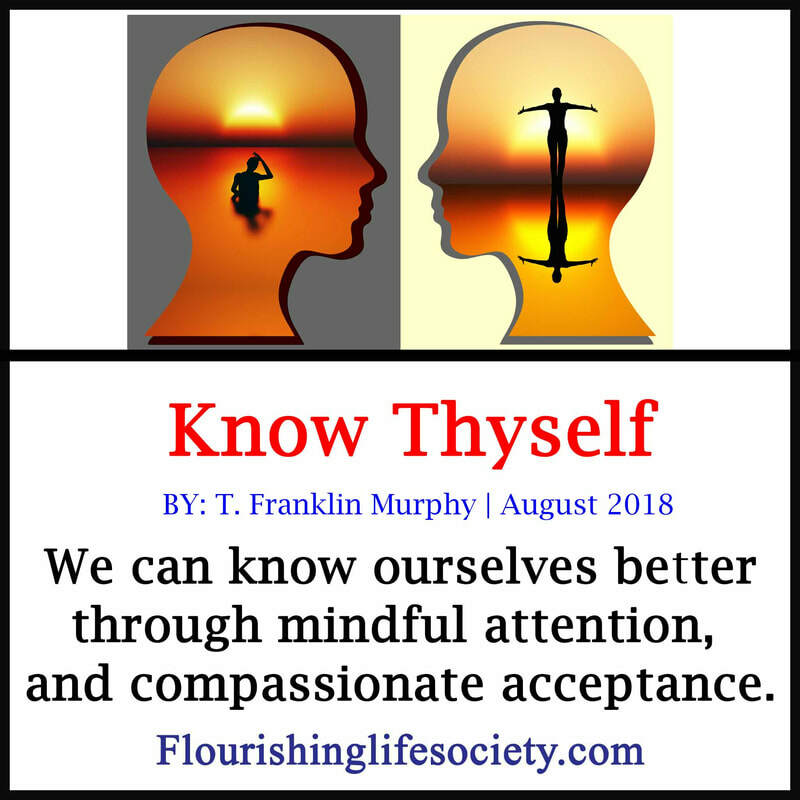 Inscribed on the wall of the ancient Delphian temple forecourt is the short and powerful admonition to “Know Thyself.” This timeless message from the ancient sages of Greece continues to be touted as essential for well-being in the twenty-first century. Self-knowledge is critical in our quest to cultivate our being. Having a glimpse of the person creating the subjective interpretations of the world is helpful to sort the myths from reality. But knowing ourself isn’t a simple task. Life is dynamic. We constantly are in motion, acting different in a variety of context. A secure knowledge of self requires a continuous open examination, filled with awe and sometimes disgust. There is no magic threshold of enlightenment that once achieved endows exposes are true nature. We must live in a state of semi-ignorance. 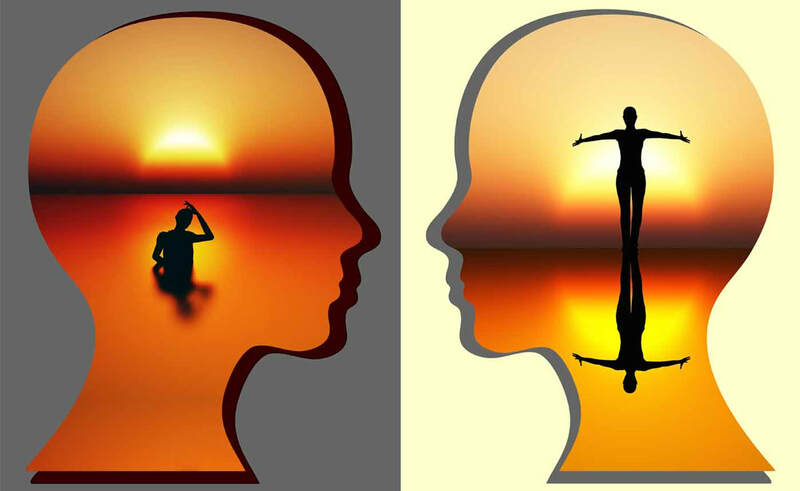 Self-knowledge can be improved with mindful attention. Each day, our being (mind and body) interacts with the environment, generating feelings and responses. These interactions provide countless opportunities with small glimpses into the nature of the self. The glimpses quickly fade and are easily discarded without focused attention, giving curiosity a chance to examine. Although we may occasionally see new aspects of ourselves when we plug in these momentary flashes into a faulty underlying perception, we come no closer to “knowing ourselves.” Even when the mind is given correct data if the data is plugged into faulty equations, we derive distorted answers. Basic misconceptions of who we are and who we are trying to become can compound, leading us further from self-knowledge, left languishing in protective interpretations. Explorations of self easily disrupt stability when previous visions of self are severely distorted. We built protective explanations to guard against evil attacks on our ego. Life was hard, and we created effective self-preservation techniques. We protect against unwelcome intruders. A necessary condition to gain self-knowledge is a solid foundation of security. When underlying experience is shame, an intense feeling of not being “good” enough, our brief encounters with our humanity threatens. The dark clouds of the unknowns are ferocious to a person lacking faith in their abilities. The unknowns become a source of fear instead of knowledge to be curiously examined. Courageous exploration quickly gives way to fruitless attempts to organize a simple and predictable world. Self-knowledge can only be processed efficiently when we offer ourselves the compassion of acceptance. We courageously face the unknowns when we trust in our abilities to overcome the obstacles that loom somewhere in the darkness. Knowing ourselves is only available to those willing to embrace the imperfections with tenderness and compassion. By creating an inner loving environment, we gain the security necessary to face the world in the vulnerability of imperfection. We stand in the forecourt of life, and boldly declare, we can do this, for we know ourselves.